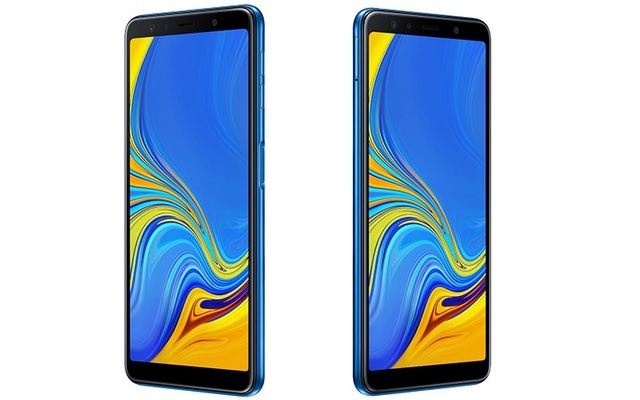 Samsung has launched the Galaxy A7 premium mid-range phone, the company’s first with a triple rear camera setup. It’s part of Samsung’s new strategy of introducing new high-end features on not-so-premium devices before bringing them to their expensive flagship smartphones. The company hopes to reclaim the grip on the mid-range segment as well as premium mid-range segment with this new approach. And well, the Galaxy A7 is the first phone to follow this product strategy. 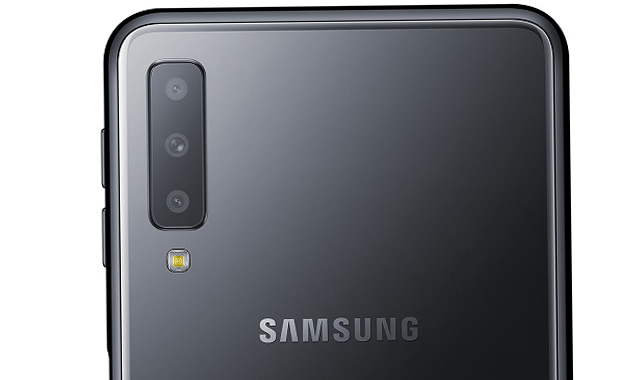 While the upcoming Galaxy S10 flagship will have triple rear cameras, the A7 will usher in the new generation of smartphone photography for the mid-range segment. It also features a unique side-mounted fingerprint scanner, as well as a much-improved microSD card implementation. 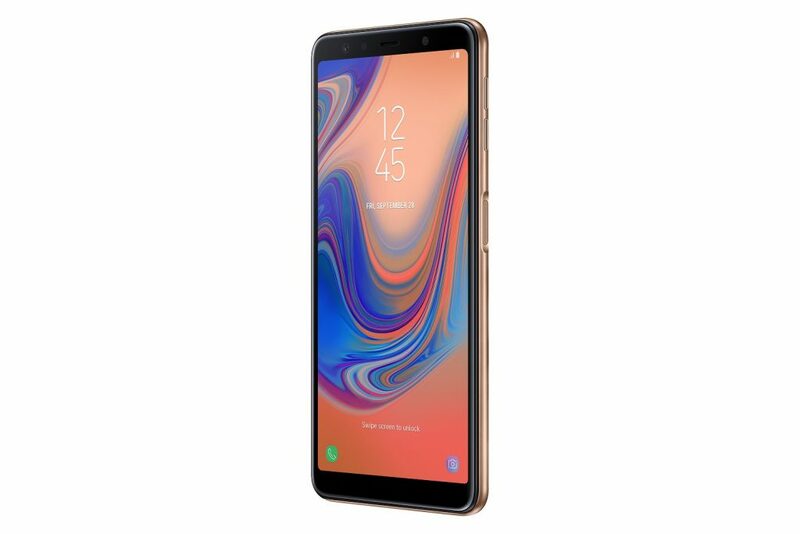 The Galaxy A7 is a pretty decked-out smartphone featuring some really good internals, and also comes with a host of software tricks such as Bixby AI assistant, Dolby Atmos audio, Samsung Pay and Samsung Health among others. 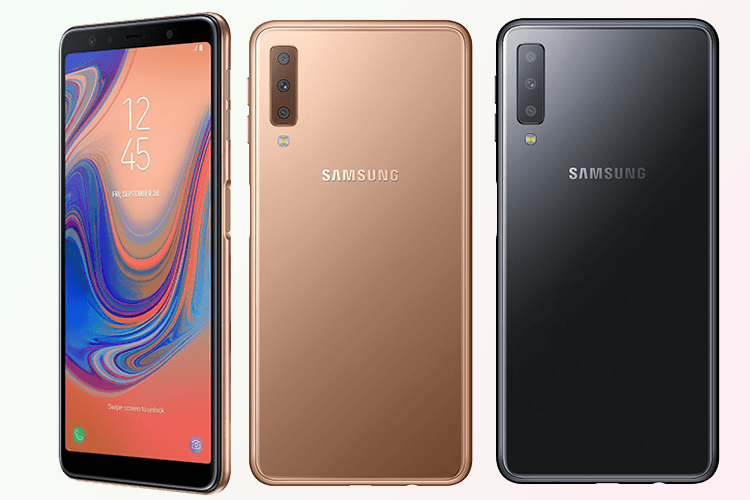 The Galaxy A7 will be available in three models: 4GB RAM + 64GB and 6GB RAM + 128GB with the former being priced at Rs 23,990 and the higher-end variant at Rs 28,990. Samsung has also launched the Exynos variant in India – with an octa-core 2.2GHz processor packed inside. Priced at Rs. 23,990 for the base version, the new Samsung Galaxy A7 pakcs in a stunning 6-inch Super AMOLED Infinity display which is backed by an Exynos 7885 SoC which has an octa-core processor clocked in at 2.0GHz. The top-end variant with the 6GB RAM and 128GB storage is priced at Rs 28,990. The smartphone will go on sale on September 27 and 28 via Samsung Shop e-commerce portal, Flipkart and the new Samsung Opera House. Samsung says after September 28, the phone will be available on most other platforms. It remains to be seen whether that includes Amazon India as well.